Housebreaking a puppy is essentially breaking their habit of using the bathroom inside instead of outdoors. It poses levels of difficulty based on the age of the puppy. If caught early it can be corrected easily. 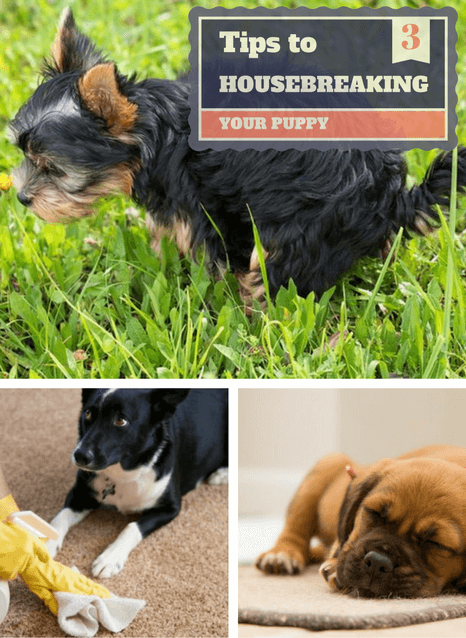 Housebreaking is a task faced by almost all new puppy owners. It is not difficult and should be handled with a positive attitude. A puppy is not aware he is doing anything wrong and instilling fear will only prolong the process of potty training. Instead a puppy should be highly praised each time he does the right thing. Shouting or scolding will have the opposite effect. A simple admonishment will be effective, yet this should only be done when you catch him in the act. Remember, scolding after the fact is fruitless. Placing your puppy on a routine will help with housebreaking. Dogs are creatures of habit and take to routines quite happily. After playtime, on waking up and before bedtime is the best time to potty train a puppy. 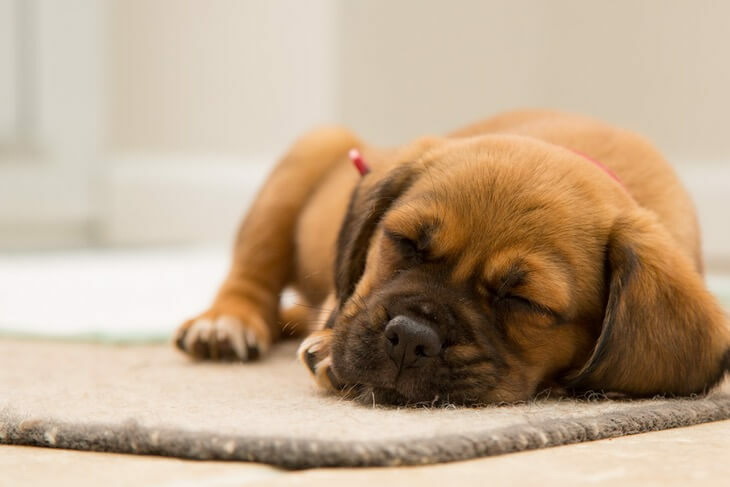 Puppies spend a lot of time sleeping so it is necessary that after each nap they are taken outside from their crate to one specific area. Once they ‘go’ praise will let them know you are pleased with them. There is nothing a puppy likes better than to please its owner. After only a short time they will have learned to associate to this routine. The more frequently you administer this treatment the easier it will become for your puppy to hold it in as they know they will be going outdoors soon. Watch out for the signs that they need the bathroom. If you do experience an accident administer a firm rebuke. The word NO should be avoided as this is a word that is associated with bad behavior. Teaching a puppy that going to bathroom is wrong is not suggested training. Housebreaking should start from the day you bring your puppy home. After you have introduced him or her to their new surroundings and have given them a drink of water, take them outside immediately to a designated area. This area will become their ‘spot’ over time, so make sure that it is a place where they can go whenever they want to.As with any training, patience is called for. A puppy may not want to ‘go’ at first. You will need to wait until they are ready to relieve themselves. Refrain from playing with them during this time as they will forget what they need to do. They have to have time to learn what the purpose is for being there. You can use words of encouragement. However the words you choose should be consistently used as they will begin to associate them with the task of relieving themselves. This is especially beneficial when you are in a strange setting with your puppy. When they are finished give them lots of heartfelt praise immediately before taking them inside. Puppies need to be watched very carefully in the beginning. The more consistent you are with taking them outside the quicker they will learn. After a short time they will be ‘telling’ you when it is time to go outside. In the beginning a puppy will not be able to go through the night without a bathroom break. As your pup grows older he'll be able to control himself better until he manages to go through the night. So you should expect to get up during the night to take your puppy outside. A puppy will be encouraged to return to a spot it has used before. If you do have an accident indoors it is crucial that you get rid of the evidence. Simply clean the spot with a cleaner that is able to dissolve bacteria, and the smell will disappear. If you do catch your puppy in the act, either pick him up and take him outside or tell him to go out, immediately. You should not shout or worse hit him as this will cause fear and anxiety and this will seriously impede your potty training. Teaching a puppy that going to bathroom is wrong or naughty is not suggested. If he feels he is doing something bad he may tend to hide the evidence. Housebreaking problems often stem from human error. 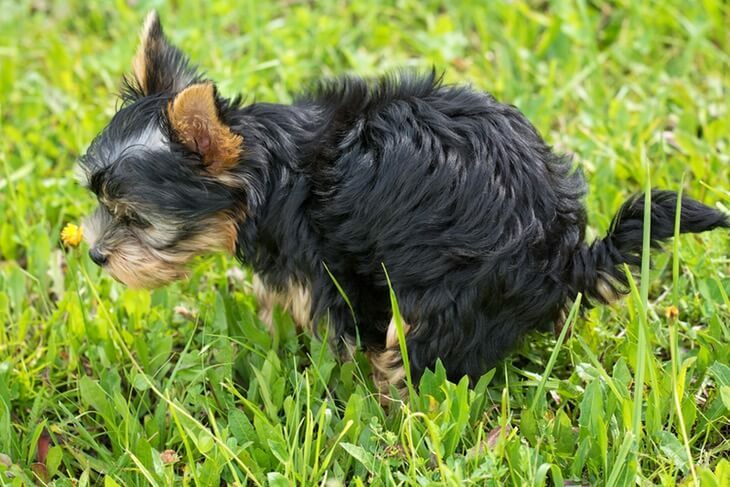 If an owner is diligent about taking them outside, cleaning up their messes, are patient and forgiving – a puppy will learn what is expected from them and eager to please they will continue with this learned behavior. If you enjoyed this post make sure you also check out our guide on the best puppy food reviews. 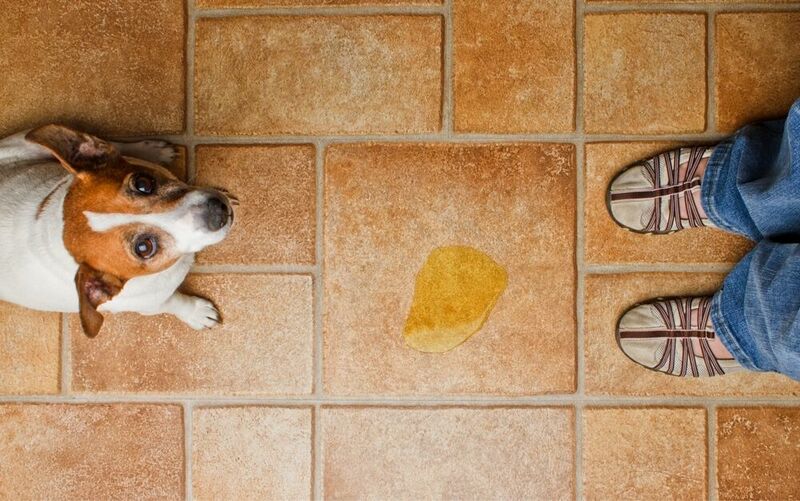 These are just a few simple tips for housebreaking a puppy. What are some of your successful tips for housebreaking your puppy? We’d love for you to share your tips in a comment below and don't forget to share this page if you've found it helpful!